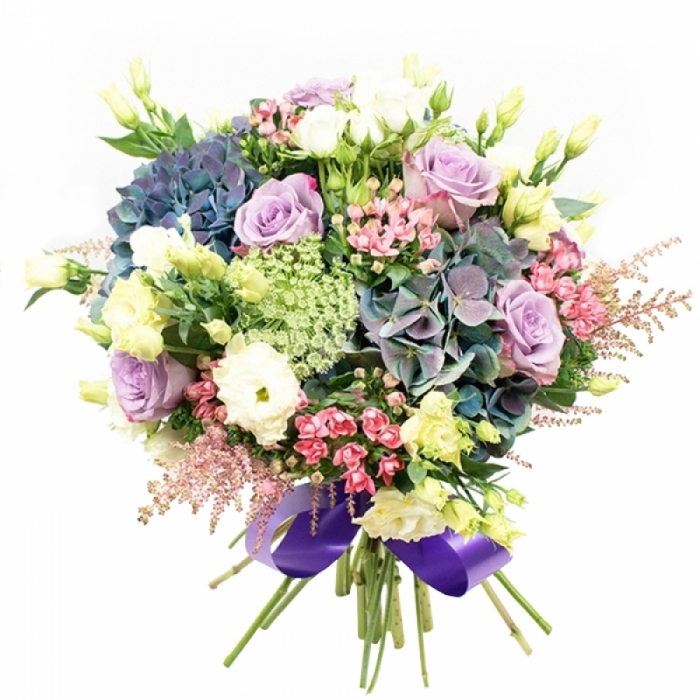 We at Handy Flowers believe that colours play a significantly important role in our everyday life. It is proven that colours can affect our emotions, provoke thinking, change actions, etc. That is why we are truly interested in global colour trends and always strive to add the most popular colours at the moment in our gorgeous bouquets! This year, The Pantone Colour Institute has announced the ULTRA VIOLET (18-3838) color as the Colour of 2018. Inspirational, provocative and complex, Ultra Violet is considered to be the colour of the future. It is thought to light the way to a whole new world that is yet to come, where new technologies, bold discoveries and artistic brilliance are all around. Pantone’s colour of the year is deeply inspired by creativity, art and individuality. Ultra Violet is described as optimistic and empowering colour, which is aimed to provoke inventiveness and rich imagination. Purple-toned shades reflect sensitivity, compassion and generosity. They have widely been used in all kinds of meditation spaces as the colour is associated with spirituality, mindfulness and inspiration. Our florists also find this enigmatic colour truly inspiring! Be it with a box of deeply romantic violet roses or a lovingly hand-crafted bouquet in violet hues, they are dedicated to bringing out the best of the Colour of the Year and delivering its inspiring message to the recipients! For the upcoming spring, our florists recommend choosing a fresh bouquet of purple tulips as these are considered to express royalty and adoration. 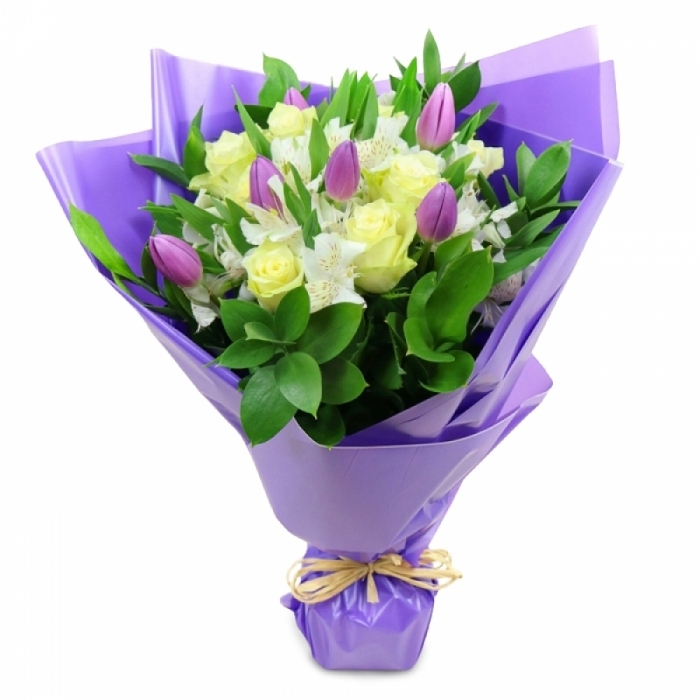 Purple tulips make a great gift for any woman, stating that she is the queen of your heart! We hope this thoughtful purple shade will bring true motivation and great energy to you and your loved ones that will inspire you to go after your dreams, be as creative as you want, experiment and pursue your happiness!